Prior to their purchase, many of Equine Legal Solutions' boarding forms package customers have had no written boarding contracts at all, or they have used the same contracts for years. As a result, they are understandably concerned about how their boarders will react to being asked to sign a new contract that is far more robust (and therefore, often a lot longer) than their previous contracts. Here are our recommendations. If you've been in the boarding business for any length of time, you know that any change at a stable precipitates gossip, and lots of it. To make sure your boarders hear about the new contract from you first, tell all of your boarders about it at the same time. Don't even hint to anyone, even trusted friends, that a new contract is coming until you've made a formal announcement. To introduce the new contract, schedule a barn meeting at a time when most of your boarders will be able to attend, such as an evening or weekend. Send out announcements a week or so in advance so your boarders can plan ahead to attend. Don't pass out copies of the new contract before your barn meeting - it will just give boarders ample opportunity to get worked up about anything they don't like or don't understand in the new contract. Make the barn meeting a social event - serve beverages and snacks. Consider having the barn meeting coincide with another fun barn event, such as a tack swap or games day. If you have some upcoming improvements planned for your barn or you have a new service to offer, start off the meeting by announcing them, no matter how small they are. It never hurts to start on a positive note! While you don't necessarily want to give a speech with notecards in hand, do plan how you'll introduce the new contract. First, explain why you're implementing a new contract. Common reasons include: "Our insurance company/lawyer is requiring us to update our contracts/have a better liability release;" "We haven't updated our contracts in X years;" and "We've recently experienced some problems with X that we need to address in our contracts." Part of the key to smoothing the way for a new boarding contract is helping your boarders understand you aren't doing this to be unfair or inconvenient, but rather that you have sound business reasons behind it. Second, distribute a copy of the contract to each person at the meeting. 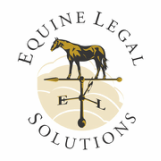 If you are using Equine Legal Solutions' boarding contract, you might also want to distribute copies of the instructions, which help explain various sections that might otherwise be confusing, such as the indemnification clause. "Why is this so long compared to the old contract?" Answer: It's far more detailed than the old contract so we can be more clear about expectations on both sides. If we know what to expect and boarders know what to expect, we'll both avoid a lot of problems. "Why are you asking us to release you from your own negligence?" Answer: In order to bring a legal case against us, a boarder would have to allege we were negligent in some way. By specifically including negligence in the liability release, we discourage boarders from suing us. "Why are you asking us to indemnify you if you get sued?" Answer: More than anything else, we want to discourage lawsuits. Our contracts are with our boarders, but at the same time, our boarders bring a lot of people to the barn who haven't signed this contract and might sue us, such as family members and guests. We want our boarders to keep an eye on those guests and help prevent accidents from happening in the first place. We think that's more likely to happen if our boarders have a financial incentive to help us prevent lawsuits. "If you have insurance, why do you even need these liability releases?" Answer: While our insurance can pay for our legal defense if we get sued, it doesn't prevent anyone from suing us in the first place, and it doesn't prevent them from winning if they do sue. Liability releases do both of those things. "Why do you need these liability releases? Doesn't our state have an equine activity statute?" Answer: Equine activity statutes don't really offer very much legal protection for us, and they have a lot of potential loopholes. "What do you mean you can sell my horse if I get X days behind on my board?" Answer: We want to have a powerful incentive for boarders to pay us on time. Also, we're concerned about reports from all over the country about boarders disappearing and leaving horses behind. If that happens to us, we want to be able to find the abandoned horses new homes. If you pay your board on time, this will never be an issue for you. "What if I don't agree to all these new terms?" Answer: These are the terms on which we're going to operate our business going forward. We hope everyone will agree to them, but if anyone decides not to do so, they can give us 30 days' notice and find a new facility. We will miss them, but we just can't afford not to have everyone sign this new contract. At the close of the meeting, make sure everyone understands when the new signed contract is due, and that if they don't return it by the deadline, they can expect to receive a 30-day notice. After the meeting, immediately distribute (by email or otherwise), a copy of the contract to each boarder who didn't attend the meeting. Accompany it with a cover letter explaining the need for the new contract, and setting a deadline for return of the new contract. As each signed boarding contract comes in, review it to make sure the boarder filled it out completely and correctly, and that there are no edits made by the boarder. Any incomplete or incorrect contracts should be returned to the boarder with a written note about what needs to be fixed. If the boarder has made their own edits to the contract, the contract should be returned with a note that politely states that the contract sets forth the terms on which you will be doing business going forward and those terms are not negotiable. A few days before the new contract is due, follow up in person, by phone and/or email with each boarder who has not yet returned their signature page for the new boarding contract. Politely make sure they know they'll receive a 30-day notice if you don't receive it by the deadline. On the day after the deadline for returning the new boarding contract, send a 30-day notice (or whatever notice your current boarding contract requires) to each boarder who didn't return the new contract. A few boarders may in fact leave rather than sign. This isn't a tragedy - you can replace them with boarders willing to sign the new contract with no problems. Better to have a stall vacant for a month or so than to have it occupied with a horse whose owner refuses to sign your contract - that's just asking for trouble. If you don't already have a filing system, the new boarding contract is a good excuse to implement one. Keep your files in an area that is not readily accessible to boarders, but is readily accessible to you or your stable manager. Put each boarder's contract in a folder with their name on it, then file them by the boarder's last name. If there are any other documents for that boarder, such as termination notices, you can file them in the same place. When you send out bills every month (which you should do), place a copy in the boarder's file.